That is a really fresh salad. 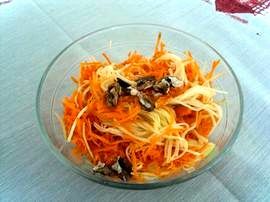 That changes of the traditional carrots salad and the taste of the courgette adds something new and tasty. 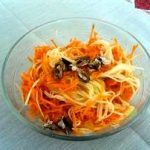 How to make salad with Carrots and Courgette? Put in the fridge for about 30 minutes before serving. The taste is actually better when the salad is really chilly!